Last year was the year of the blogger, as far as I was concerned. 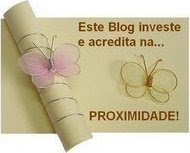 I found that everyone was creating blogs and posting their writings and publishing them willy-nilly. My youngest sister who really has a flair for writing stylishly had recently started hers. And I looked towards home. Here was my mother, (that is her in the picture) pushing 79, painstakingly recording her memories for her grandchildren in longhand on foolscap sheets. She was putting down in brief her life with my father, the lives of her parents and my father’s parents, in simple yet forceful style, so that her grandchildren could read about the family elders. Some of the younger ones had not even seen their grandfather. It occurred to me to create a blog for her, and post her writings. It is called Memories and Musings, and received such a welcome from family and others, that my mother has got into the habit of updating the blog with more memories. The thrill of creating a successful blog for Maiji, as we call my mother, and even posting pictures on them, prompted me to create one of my own, though I did not have much to say. Anyway I went ahead, and called it Vox Mine. Techno granny my friends called me, and it went to my head, I think. I had got into the habit of updating both blogs, and somewhere down the line, managed to do something which made this Vox Mine appear as if it was my mother’s - both blogs now belonged to Maiji! So I stopped posting anything on Vox Mine. What is now on the blog are posts which I wrote earlier - poor Maiji who is credited as the owner is blameless. I thought I would delete the blog, but decided against it. I even thought I would make myself a team member on it, but that did not work either. For nearly a whole year I ignored the blog. But now, I have gone on to create another blog for myself - this one. And I shall be posting regularly, I hope – unless this one is also going to appear as Maiji’s. This was just for me, I thought gleefully. Just what I was looking for. It was a small ad tucked away in the classified corner of the neighbourhood newspaper. Asking for senior women (a nice euphemism for grannies and old housewives, I thought) who would like to join group singing classes. It was right up my street, I was delighted. I had all the qualifications, I am senior and I am a woman, and I wanted to do some singing. I had just given up a job which I had enjoyed doing for many years, and had a lot of time to spare. Tra la la, I sang to myself as I called the number in the ad. The lady who answered spoke in a delightfully musical voice and confirmed that she would be taking the classes – her plan was to form a group with women who could do some community singing. What could be more convivial? I agreed at once to meet her, and at the appointed time set off to her place. I was pleasantly surprised to meet the guru, a cheerful person, with a friendly mien. And present also were other wannabe singers like me, all of them 45 plus, most of them 55 plus. Some had bravely left their hair uncoloured, and some had dyed it jet black defiantly, as though to hold back the ravages of time. It was fun to meet them and I was pleased to see that they were just as determined to sing. The date was set for the first lesson and we all turned up at the appointed hour, with pocket sized recorders and last year’s diaries and notebooks to note down the lyrics/ sahithya. Our guru took note that what we all had in common was an earlier grounding in music. All of us had learnt the sarali varisai (scales) and graduated to kirthanams in the approved manner, at some earlier avatar in our lives, before, housewifely and maternal duties took us over. Happy, she decided that we could form a sound group, whose sound would indeed be musical. And so began the first lesson. We sang the opening notes Sa Pa Sa with great gusto, and then on to the Vinayaka namavali that was to be our first song. Then it happened. Most of us hadn’t sung anything more than Jana Gana Mana at public functions in the last so many years. Our voices croaked and creaked, and slipped from the sruthi, breathlessness set in, and we finished gasping for breath. Those of us who had bravely sat on the floor in the traditional manner also were beginning to feel the twinges of discomfort in our legs. Some of the creaking wasn’t coming from our voices, I discovered, but from my knees, as I tried to shift my weight to a less painful position. Our guru has this optimistic streak in her – at the end of the day, she declared we had not done too badly for people who had not sung for so long , and assured us that we would get into the swing of it soon enough. I brought home the recorded lesson and as I played it to my husband, he predicted that real estate prices were sure to tumble in the area where our teacher lived, with people wanting to move away from there at once! Four months on, I must say our teacher’s prediction is closer to the truth than my husband’s – we do sing better, we have a good collection of songs under our collective belt, and our voices meld together in a fine group. And I have made a new set of fine friends at my class – even if it is jokingly referred to as ‘Patti class’, and not ‘pattu class’. 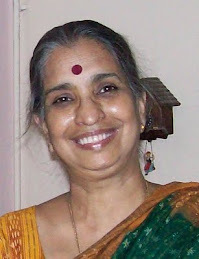 My sister, Viji Venkatesh, lives and works in Mumbai. This is her report of the percussion festival that took place there recently. Her one regret is that she forgot to take pictures. 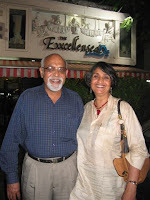 But here is one of her with her husband Venky. In the middle of dusty, crowded, grey-brown Fort area of downtown Bombay is an oasis – not lucky enough to have green sprawling expanses that Delhi, Bangalore and even Calcutta have, Bombay can only boast of such cool calm “circles” in the middle of all its chaos - where there is grass and cold cement seats, some beautiful trees, the odd “shengdana” wala ( mumphali ) the only one who will and is allowed to disturb the souls who sit there seeking some solitude and solace. So, back to Horniman Circle - bang opposite the Asiatic Library – the beautiful pillared white Grecian structure with all those steps where students study all night long under the benevolent lights, and which is made famous by any number of Hindi Films where key witnesses are shot down, running up those steps just before the hearing …. Horniman Cirlcle is bigger than the other circles, like King’s Circle, or what is left of Sion Circle or Dadar Circle, and has been adopted by the Tata’s, bless them, and is maintained wonderfully well with some of the most beautiful old trees, exotic foliage , elegant fountains and ATMOSPHERE . Last week HC was the venue for three nights of the percussion festival from Kerala – Keli the group is called, and bless Venky for taking me there after work on Thursday – cool bright moonlight , wet grass, silhouetted traceries of the leaves against the deep dark blue of the night sky, the most appreciative audience intoxicated by the beat and for two non-stop hours eight magicians created unbelievable, well, magic with their chenndai and cymbals – no mike , no nothing but these men in their mundus, fit torsos glistening with energy and discipline , hands and heads moving in such unbelievable rhythm , the drum beats extolling, the cymbals cajoling – it was like they were talking to the audience …what a treat it was.